Last week I finished playing through all of BioShock 1 for my weekly level design let's play series Level With Me. My playthrough wasn't without its problems -- I was playing lazily and haphazardly, which means I relied on the same combat tactics all the time, and I also actively avoided exploring audio diaries / optional areas / player upgrade systems for the sake of brevity. Playing on easy mode also meant the boss encounters lost their pacing, and side areas remained unexplored instead of desperately scavenged for supplies. Most people fondly remember BioShock for its narrative and setting, but I was consistently surprised with how much ol' fashioned game design went into it. Lots of classic hub-and-spoke level design, and several chains of fetch quests about looking for parts and materials -- remnants of an abandoned inventory / crafting system according to former BioShock dev JP LeBreton, who occasionally graced the broadcast with his presence and offered interesting trivia or context. I also played through the famous Fort Frolic chapter by BioShock 2 lead Jordan Thomas and felt strangely disappointed -- its scripted sequences and theatrical flourishes were interesting, and it made novel use of BioShock's "camera" mechanic, but the critical path overall felt a bit weightless. Again, I couldn't really play leisurely and explore the other 50% of Fort Frolic that was purely optional, so maybe also take my reactions with a grain of salt. Instead, I found myself focusing on a lot of the environment art. I argue that a lot of the water effects and particles still mostly hold-up more than 10 years later. The distinctive area signage is still well-conceptualized and cleanly executed, where most games would just slap a flat texture onto a quad and call it a day. BioShock's use of lighting is also extremely lurid and saturated, like a surreal 1990s Tim Burton movie where everything is glowing with neon fluorescence, often from invisible light sources with no nearby fixture. It's important to contextualize how this game basically set-off a second wave of immersive sims that died after Deus Ex Invisible War / Thief 3: Deadly Shadows / Vampire: The Masquerade all sort of flopped. In 2007, you could argue that BioShock's relative success helped convince people to fund Dishonored and a new Deus Ex reboot, and perhaps it's the reason why we're still (barely) talking about immersive sims today. 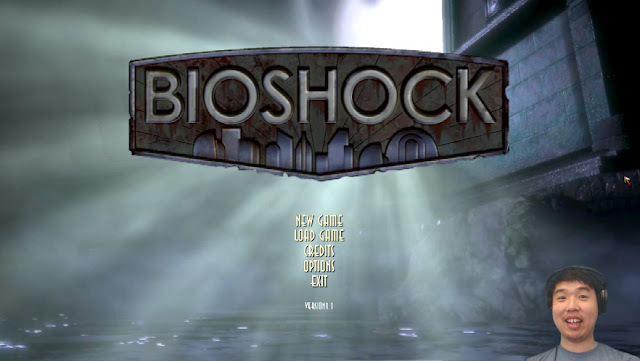 The full archived BioShock 1 playlist is available here, and if you want to tune in to a live Level With Me broadcast and chat for a bit, I usually do them on Tuesdays 2-3pm EST. Maybe see you then!